Please read these Terms of Service (this “Agreement”) carefully. This Agreement is between you and The Wine Group LLC (“Company” or “we” or “us”) concerning your use of (including any access to) Company’s website, currently located at www.franzia.com (together with any materials and services available therein, and successor website(s) thereto, the “Site”). This Agreement hereby incorporates by this reference any additional terms and conditions with respect to the Site posted by Company to the Site, or otherwise made available to you by Company. 13. Company’s Proprietary Rights. As between you and us, we own the Site, which is protected by proprietary rights and laws. All trade names, trademarks, service marks, logos and copyrightable works available through the Site are the property of their respective owners and nothing contained on the Site should be construed as granting any right to use any trade names, trademarks, service marks, logos or copyrightable works without the express prior written consent of the owner. 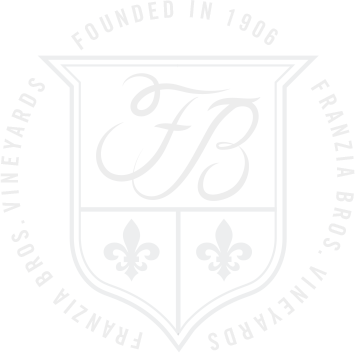 Our trade names, trademarks and service marks include FRANZIA WINES™, FRANZIA®, THE WORLD’S MOST POPULAR WINE®, and any associated logos. You may not use our trade names, trademarks, service marks or logos in connection with any product or service that is not ours, or in any manner that is likely to cause confusion. While we seek to maintain the timeliness, integrity and security of the Site, we do not guarantee that the Site is or will remain updated, complete, correct or secure, or that access to the Site will be uninterrupted. The Site may include inaccuracies, errors and materials that violate or conflict with this Agreement. Additionally, third parties may make unauthorized alterations to the Site. If you become aware of any such alteration, contact us at info@franzia.com with a description of such alteration and its location on the Site. 19. Governing Law; Arbitration; Class Action Waiver. This Agreement, your use of (including any access to) the Site (including all Transactions) and all related matters are governed solely by, and construed solely in accordance with, the laws of the United States (including federal arbitration law) and the State of California, U.S.A., without regard to its principles of conflicts of law that would cause the application of the laws of any other jurisdiction, and regardless of your location. Except for disputes that qualify for small claims court, all disputes arising out of or related to this Agreement, your use of (including any access to) the Site (including all Transactions) and all related matters, whether based in contract, tort, statute, fraud, misrepresentation or any other legal theory, will be resolved through final and binding arbitration before a neutral arbitrator instead of in a court by a judge or jury and you agree that Company and you are each waiving the right to trial by a jury. You agree that any arbitration under this Agreement will take place on an individual basis; class arbitrations and class actions are not permitted and you are agreeing to give up the ability to participate in a class arbitration or class action. If you do not want to be bound by this arbitration provision, you may opt out. In order to opt out of this arbitration provision, you must notify us in writing that you do not want to resolve disputes with us by arbitration, and such notice should be delivered by mail to The Wine Group LLC, Attn: General Counsel, 4596 Tesla Road, Livermore, CA 94550, within 30 days of the earlier of (a) the date you first use the Site; and (b) the date you click or tap any button or box marked “accept,” “agree” or “ok” (or a similar term) in connection with this Agreement. The arbitration will be administered by the American Arbitration Association (the “AAA”) under its Consumer Arbitration Rules (currently available at https://www.adr.org/aaa/ShowProperty?nodeId=/UCM/ADRSTAGE2021425&revision=latestreleased), as amended by this Agreement. The arbitrator will conduct hearings, if any, by teleconference or videoconference, rather than by personal appearances, unless the arbitrator determines upon request by you or by us that an in-person hearing is appropriate. Any in-person appearances will be held at a location which is reasonably convenient to both parties with due consideration of their ability to travel and other pertinent circumstances. If the parties are unable to agree on a location, such determination should be made by the AAA or by the arbitrator. The arbitrator’s decision will follow the terms of this Agreement and will be final and binding. The arbitrator will have authority to award temporary, interim or permanent injunctive relief or relief providing for specific performance of this Agreement, but only to the extent necessary to provide relief warranted by the individual claim before the arbitrator. The award rendered by the arbitrator may be confirmed and enforced in any court having jurisdiction thereof. Notwithstanding any of the foregoing, nothing in this Agreement will preclude you from bringing issues to the attention of federal, state or local agencies and, if applicable law allows, they can seek relief against us for you. 21. Information or Complaints. If you have a question or complaint regarding the Site, please send an e-mail to info@[BRAND DOMAIN NAME].com. You may also contact us by writing to Franzia Information Request/Complaint, 4596 Tesla Road, Livermore, CA 94550, or by calling us at (925) 456-2500. Please note that e-mail communications will not necessarily be secure; accordingly you should not include credit card information or other sensitive information in your e-mail correspondence with us. California residents may reach the Complaint Assistance Unit of the Division of Consumer Services of the California Department of Consumer Affairs by mail at 1625 North Market Blvd., Sacramento, CA 95834, or by telephone at (916) 445-1254 or (800) 952-5210. Site © 1997 – 2019 The Wine Group LLC unless otherwise noted. All rights reserved.